There are several wines reviewed here that are worthy of your attention. They did not fit into any particular feature article. 13.5% alc., 3,239 cases, $30. Vino-Seal. Primarily Mills with some Jensen and Reed vineyard grapes from younger vines. Aged in 30% new French oak for 14 months. · Cranberries, oak and a touch of alcohol on the nose. Medium-weighted red berry flavors with a hint of oak. A bit short on the mid palate and the very dry finish. 14.4% alc., 1180 cases, $34. Fiona and Hal Barnett founded their family estate on the top of Spring Mountain in 1983. This wine is sourced from the Green Valley sub-appellation of the Russian River Valley and is composed of Dijon clones. The winemaker is David Tate. · Medium reddish-purple color. Aromas of cherries, Asian spice and oak char. Cherry-driven flavors that are moderately mouth-filling. A lovely wine with charm but showing a bit too much oak for my taste. 14.5% alc., 328 cases, $42. Crafted by Tim Borges from Rochioli fruit. · Restrained scent of black cherries and toasty oak. Beautiful raspberry and cherry fruit, lightly oaked and softly presented with noticeable but ripe tannins. Very classy like a demurely dressed woman. 14.8% alc., $45. 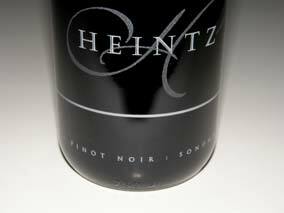 From the Heintz Vineyard in the Sonoma Coast that is better known for Chardonnay. · A dark-fruited wine with a light touch of smoky oak. Juicy, restrained and nicely weighted in the mouth. There seems to be a hint of Brett in the nose that some drinkers will find appealing. 14.2% alc., $48. · Moderately light reddish-purple in color. Attractive scents of crushed plums, Bing Cherry, oak smoke and fresh crusty bread. Dark red cherry fruit on the palate with a hint of raisin and loamy earth. Silky, supple tannins, and a dry, tangy finish. A good drink that will please many. 14.1% alc., $50. 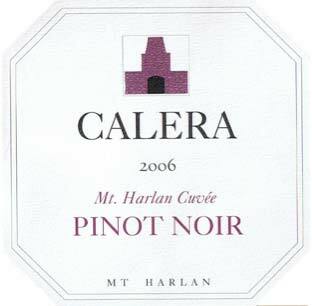 · Very enticing aromas of cherries, spices (particularly cinnamon), prune and smoke. Light and pleasant tart cherry and cranberry flavors with a refreshingly tart and grippy finish. An accessible wine that is good without being special. 13.5% alc., $36. Kynsi is a small family winery located in the Edna Valley appellation of San Luis Obispo owned by Don and Gwen Orthman. Pommard and Martini clones. · Dark reddish-purple in color. Sensual aromas of black cherries, blackberries, violets and oak toast. Nicely composed red and black fruits with subtle overtones of oak, savory herbs and that signature Bien Nacido white pepper. Impeccable balance and a clean finish. This remarkable wine seduces rather than overpowers with tender, lithe and captivating flavors. This one was kissed by an angel. 14.3% alc., $50. · Very elegantly composed featuring red cherry fruits with baking spices and cola. Soft in the mouth and imminently likable.